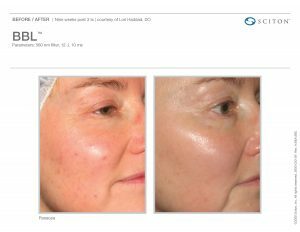 Skin Care Treatment in Austin | Dr. Elisabeth Potter, MD. The skin is the body’s largest organ, mainly serving as a protective barrier and acting against harsh elements while keeping us balanced and healthy. Aesthetics are a patient priority, but like any organ system, it’s also vital to protect your skin so that it will continue to function properly, act as a filter and even regulate temperature. Your skin is affected by your every decision – right down to the food you eat and where you spend the majority of your time. Unfortunately, many of our early choices determine the future condition of our skin, but with the advancements of science and technology, luckily, we are able to often restore it to a much healthier state. Healthy skin is resilient and is more likely to “bounce back” from trauma, resist scarring, heal faster and prevent disease. The term “skin care” refers to both the restorative procedures performed to recondition the skin and the routine use of a personal skin care regimen using advanced skin care products based upon years of scientific research. Licensed medical professionals, under the direction of Board Certified Plastic Surgeon, Dr. Potter, perform all skin care procedures and make recommendations for follow up skin care based on a consultative approach. Chemical peels, lasers, and the Epionce product line are all powerful tools, delivering optimum results to our patients. Your treatment plan will be developed by our expert professionals based on your goals, timing and desired results. Chemical peels address standard patient complaints like fine lines and wrinkles, skin texture and tone, acne scarring, and sun damage and are ideal for almost every skin type. Delivering results with minimal downtime, they are perfect for correcting the problems often caused by the natural aging process and UV sun exposure. Read more about Chemical Peels. Lasers are another innovative tool used to address skin problems and improve the overall health of your skin. Gently heating the upper layers of skin, lasers stimulate the regeneration of cells, resulting in an overall rejuvenation. They address the same problems as invasive surgical options – sun damage, wrinkles, fine lines, facial redness, aging, acne scarring and more – without the downtime because they are non-invasive. Patients also really like lasers for hair removal as well. Read more about laser treatments. While surgery is a viable option for some, others prefer non-surgical cosmetic procedures which provide subtle, more temporary improvements. These procedures can help reverse the signs of aging by smoothing lines and wrinkles, adding volume or contour, and/or reducing fat beneath the chin. These alternative procedures include BOTOX®, dermal fillers such as Juvaderm®, or Kybella®. Although they aren’t a replacement for surgery, these alternatives are good options for patients who aren’t ready for surgery or whose features may easily be corrected with non-surgical procedures. Read more about injectables. Like a solid exercise program, good habits will go a long way in protecting the future health of your skin. Offering cleansers, moisturizers, sun protection, and other skin corrective products, Epionce delivers botanically based products designed to reduce inflammatory factors, strengthen and repair the skin’s natural barrier, remove dead skin cells and clear pores. 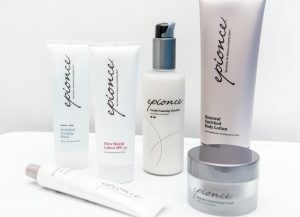 Read more about Epionce skin care products. To find out more about the total skin care Dr. Potter and her team offer, contact Dr. Potter through the online contact form, or call 512-867-6211.